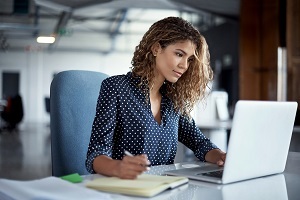 Investigating a hostile work environment complaint is a difficult task that requires sensitivity, attention to detail and strong people skills. Be prepared with a thorough set of questions before you begin interviewing the people involved. First, it’s important to understand the legal requirements. To constitute a hostile work environment, the behavior must discriminate against a protected group of people. That includes conduct based on race, color, religion, gender, pregnancy, national origin, age, disability or genetic information. It becomes a hostile work environment when enduring the conduct becomes a condition of continued employment, or when the conduct is severe and pervasive enough to create a situation that would seem intimidating, hostile or abusive to reasonable people. Sometimes supervisors or coworkers use harassment or intimidation to try to force a person to quit a job after making a complaint. However, it is illegal to retaliate against someone for filing a discrimination charge, testifying or participating an investigation or lawsuit. Be careful to distinguish between a situation that’s hostile and one that’s merely difficult or annoying. In most cases, personality conflicts, petty slights, annoyances, rudeness and isolated incidents do not constitute a hostile work environment. 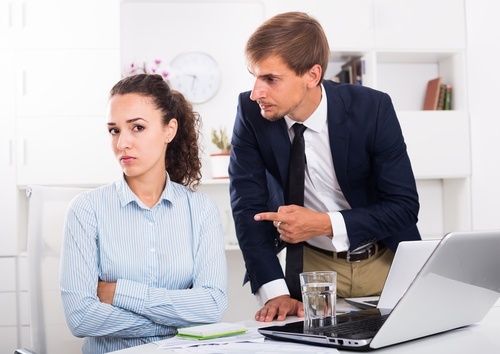 A discriminatory comment or behavior that occurred once or twice typically isn’t enough to be considered a hostile work environment. If the harasser is a supervisor, then the employer is held liable because the supervisor acts on behalf of the employer. 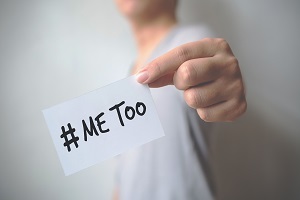 If both parties are not supervisors, then the victim must show that the harassment was reported, and the employer did not do enough to remedy the situation. The complainant can be anyone affected by the conduct, not just the person who was directly targeted by the conduct. A hostile work environment may occur with or without financial harm. 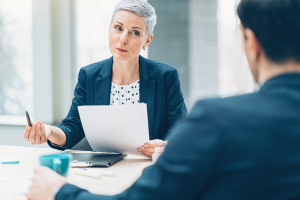 The complainant does not have to prove that a supervisor threatened to fire them, gave negative performance reviews or withheld desirable work assignments. In defending against a hostile work environment claim, an employer must show that it took reasonable care to prevent and quickly correct any harassment, or that the complainant failed to take advantage of preventive or corrective opportunities provided by the employer. Even if it doesn’t meet the definition of a hostile work environment, the employer should investigate possible harassment. The behavior could be against corporate policy. What specifically do you believe is hostile in the work environment? How has the behavior negatively affected you and your work? Are any other employees bothered by this behavior? How often did it occur? Who engaged in the behavior? Was it more than one person? Are there any notes, physical evidence, security tapes or other documentation? What action do you want the company to take? Have you ever reported this incident before? What leads you to believe the behavior happened because you are part of a protected group (based on race, religion, gender, age, etc.)? In what context was each statement made? How did you respond to the statements? Who else heard the statements? Has the person said this type of thing to others, besides you? Did the comments make reference to a protected group (based on race, religion, gender, age, etc.)? Look for gaps or inconsistencies in the information and ask follow-up questions later, if necessary.